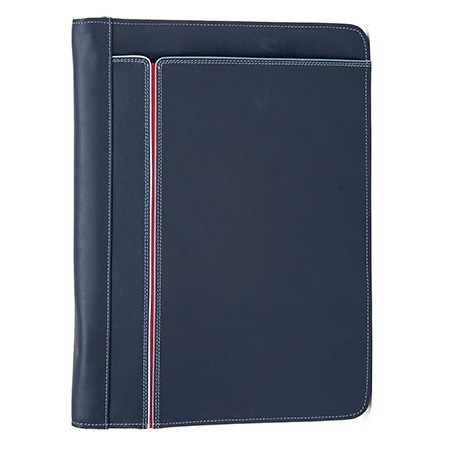 Our unique and colourful office portfolio is made with our signature soft nappa leather with contrasting coloured stitching. Inside there’s space for an A4 notepad and six credit or business cards as well as a transparent window for ID. 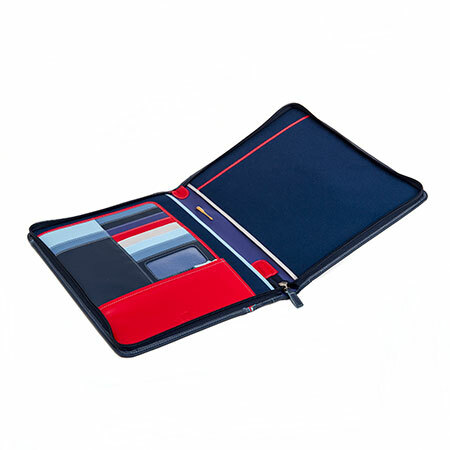 A zipped pocket holds your important personal items while a central pen slot completes a perfect professional look for this unique and colourful folder.